This page is part of the press kit. At the bottom of the page there is a photo of the author at standard internet resolution of 72 DPI and also print-ready at 300 DPI. 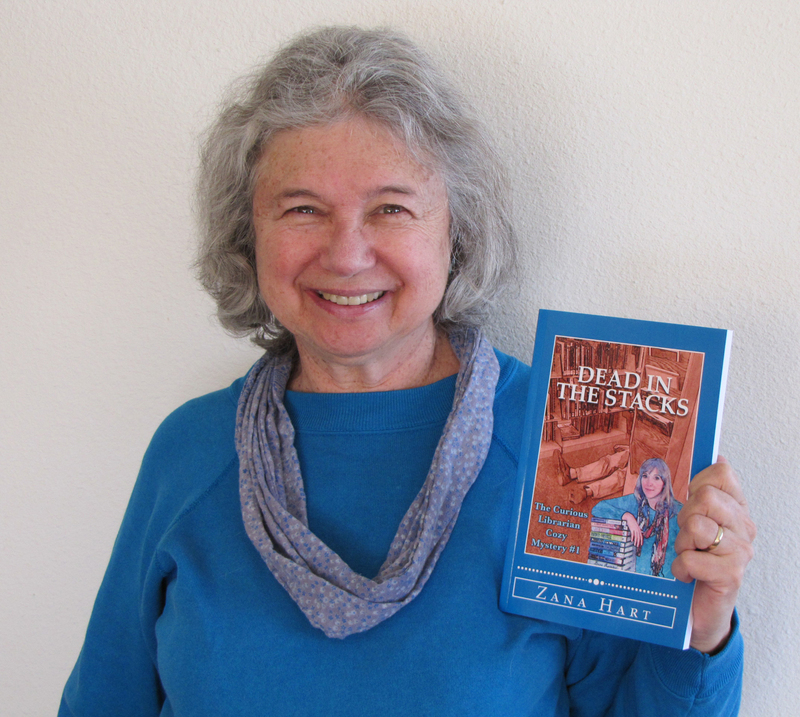 Zana Hart is a writer of memoirs, mysteries, and websites. Her most recent books are her first two memoirs, Around the World at Nineteen: Explorations and Romances and African Summer: A Crossroader in Sierra Leone. Both are enhanced by color photographs taken in the 1960s. She is currently working on the third one, LSD and Beyond: How Being a Research Subject in 1964 Transformed My Life. During the time covered by these early books, she went by Lesley Linebarger, her middle name and maiden name. She graduated from Stanford with a B.A. in Anthroplogy and the Honors Program in Social Thought and Institutions. After living in Spain and France for a retreat year, she went to U.C. Berkeley for a Master’s of Library Science. She worked in California, Oregon, and Colorado public libraries as a children’s librarian, reference librarian, branch head, and library director. In Colorado she served on the board of the Northern Saguache County Library District. Her years as a librarian in public libraries came in handy for her recently revised trilogy The Curious Librarian Cozy Mysteries. It consists of Dead in the Stacks, Bad Weather Bad Man, and The Dog Barked MURDER. She and her husband Kelly Hart founded Hartworks in the early 1980s. When they had a llama ranch in Oregon, they created a line of books and videos about raising and training llamas that led to their receiving the International Llama Association Pushmi-Pullyu Award for llama education. Her book Living with Llamas sold over 7,000 copies and will be brought out in a revised edition as part of her memoirs. She has created several websites. The most popular ones are on Simple Green Living and Training Dogs. Now she lives with two dogs, a cat, and that same husband in Silver City, NM, where she is wading through decades of old journals and letters for many details that are going into the memoirs. She attends meetings of the local Green Chamber of Commerce and is on the Vestry of the Good Shepherd Episcopal Church in Silver City. Their business, formerly Hartworks, Inc., and now Hartworks LLC, publishes whatever they dream up to do. See Hartworks.com for more details about it. Right-click on an image to save it.